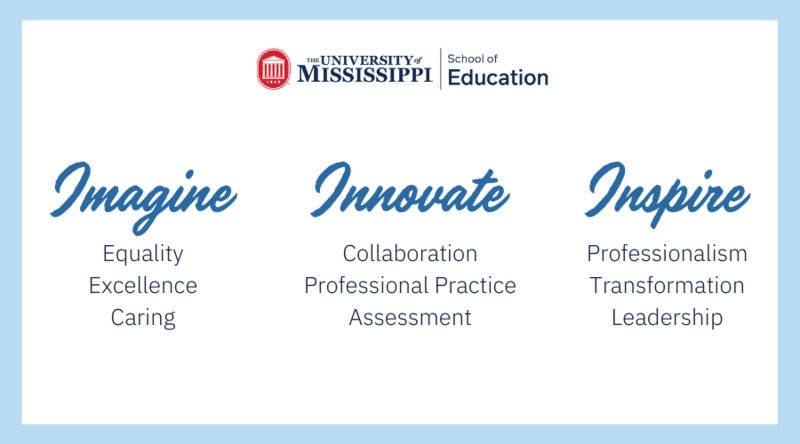 As Dean of the School of Education at The University of Mississippi, I would like to personally welcome you to our website. Within the School of Education, our dedicated faculty and staff strive to provide a creative and supportive environment that utilizes a variety of educational experiences for all candidates. 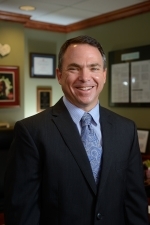 The School of Education has adopted the mission to provide exemplary instruction, relevant research and effective service through collaboration with schools, businesses, community organizations and the public at large. Specifically, the school's goal is to prepare reflective professionals who positively and effectively interact with persons diverse in race, culture, gender, age, ability, and/or developmental level. By supporting this mission, the School of Education is the leader in the development of quality teachers and professionals for the region. Our programs are fully accredited by the State of Mississippi, the National Council for the Accreditation of Teacher Education (NCATE), the Council for the Accreditation of Counseling and Related Educational Programs (CACREP), and the National Association of Schools of Music (NASM). I encourage you to stop by any of our professional offices located at Guyton Hall (Ole Miss Campus), UM-DeSoto (Southaven), UM-Booneville (North East Mississippi Community College), UM-Grenada (Holmes Community College), or UM-Tupelo (Advanced Education Center). Ask about our TeachLive Laboratory that uses state-of-the-art technology to create a mixed-reality teaching environment through human directed avatars I am confident that you will be impressed with our facilities and resources afforded to professionals inside and outside the School of Education. If we can be of assistance, please do not hesitate to contact us.